When I first read the summary for The Girl at Midnight by Melissa Grey, I knew this book was going to make for an epic read. And it totally did! I love it when a book is even better than expected! The story is about a girl, Echo, a human, who is caught right in the middle of an ancient war between the creatures that live under the streets of New York City. These creatures are called the Avicen, and they are an ancient race of people with feathers instead of hair, and who also have magic. When the centuries-old war gets a little too close to home, Echo doesn’t hesitate. It’s up to her to find the Firebird, the thing that is known as a myth, but what could, in fact, bring an end to the war altogether. Echo was a super awesome main character. Characters like her that are my absolute favorite! She’s strong and determined but also has a loyal heart and even a bit of the sarcastic attitude that I can totally relate to. And the best part is that she’s the one human in world that is hidden from all humans. She’s so different from the creatures in her world, but still, so loyal and so determined throughout the story. I love her for this. Can we take a moment to talk about the main men in this book? There are two, and I somehow managed to fall in love with both of them; Rowan, because he’s almost perfection, and Caius, because he’s the complete opposite, but still also perfection. Haha! The storyline for the book, as well as the characters and setting were so creative, and it all blended together wonderfully to make quite an impressive story. I love that the story was told from multiple points of view as well; it let us look at both sides of the story. I was hooked as I turned the pages of the book, and after the ending, I can’t wait to get my hands on the next book! Overall; The Girl at Midnight was just as good as everyone said it was going to be, and more. I really can’t wait to get my hands on the next book in the series, as I’m sure it’s going to be just as good, and I can’t wait to get back into this story. If you have not yet read this book, or do not have it on your to-read list, I highly suggest that you get your hands on the book as soon as possible. Then you will be hooked as well! 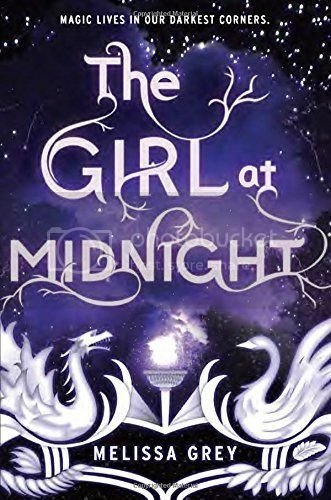 Win a copy of The Girl at Midnight!! Must be 13 years or older enter. Lovely review, I've been looking forward to this one for sometime! Glad it lived up to expectations. 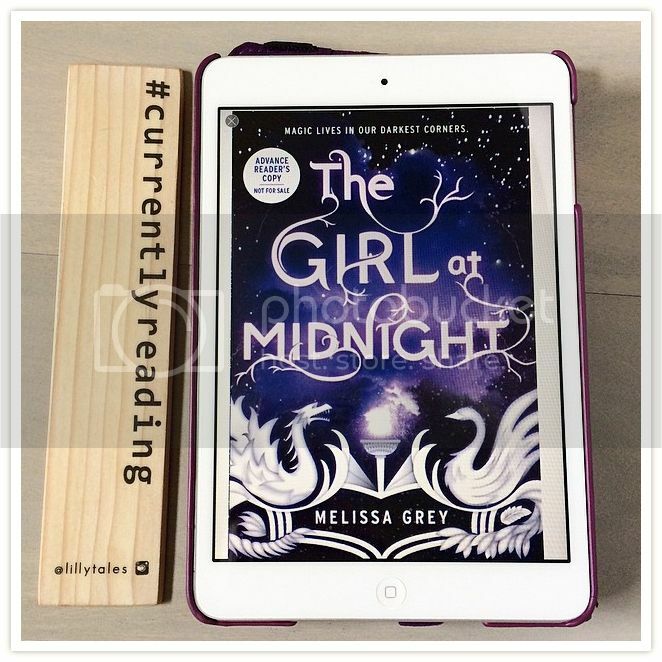 Thanks for the giveaway and I loved your review of The Girl at Midnight. I've seen it around and its looked good but I haven't given it a chance yet.